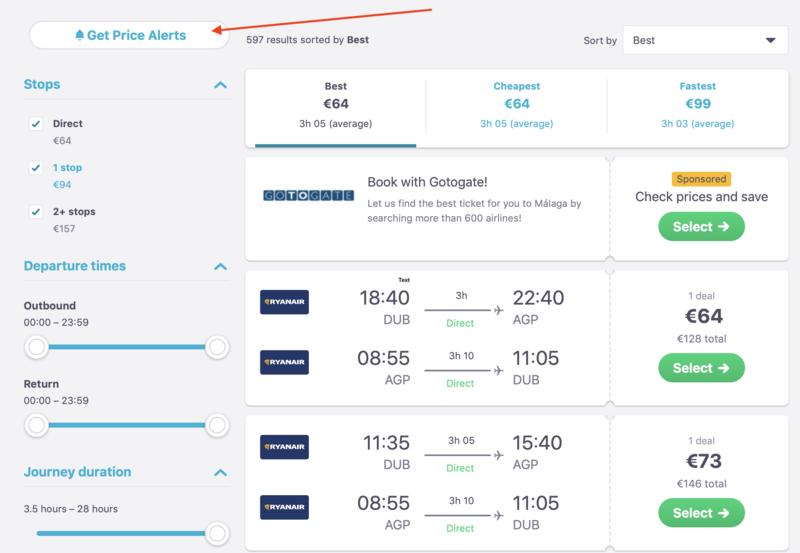 news tips Get the best air fares with Skyscanner Price Alerts! 1. Why do I want or need Price Alerts? Flight prices can quickly change with time. You can keep checking the price of a flight that you’re interested in, or you can let us do the hard work for you. All you have to do is sign up for our Price Alerts service. This allows you to make a better decision on when to book and get the best deal. By setting up an alert, you’ll get notified as soon as the price goes up, or down. So, every time the price of the flight you want changes, we’ll automatically send you an email. Price Alerts are completely free and you can change your alerts or unsubscribe at any time. 3. How do I set up a Price Alert? The easiest way is to download our app so you can follow price changes anytime anywhere. Once you’ve searched for your flight on the Skyscanner app just click the alarm bell icon at the top of your screen. Each time your chosen flight price changes, we automatically send you a notification of the change. On web firstly click on the Get Price Alerts button. Then just log in or sign up and we will be in touch when your flight price changes. 4. How do I manage my price alerts? 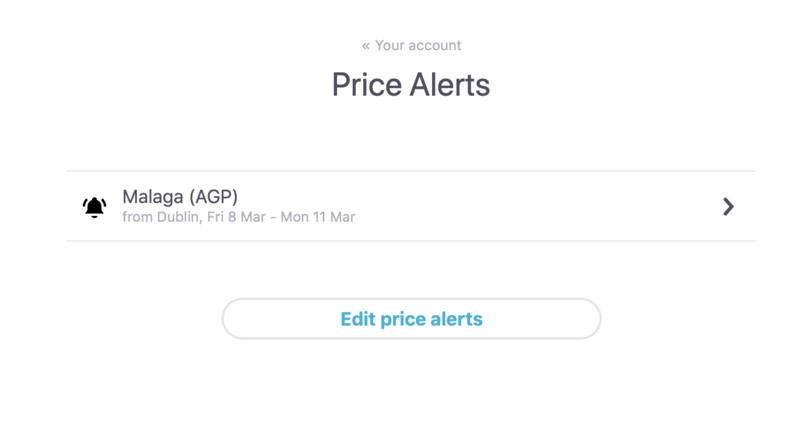 Your most recent price alerts are displayed when you open the app. Tap on the alert you want to check or if you want to stop receiving price change. On the web you can manage your price alerts by logging in to your account. 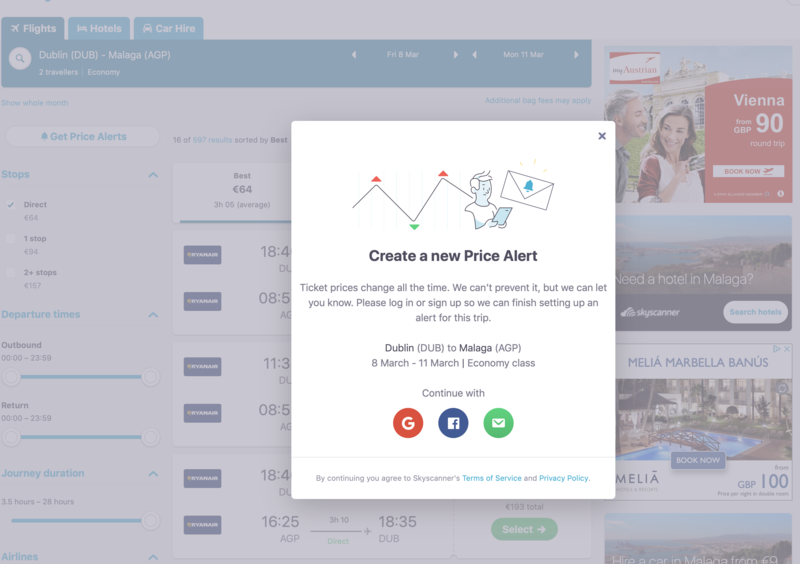 Explore more of Skyscanner’s useful tools, like Browse by Month, or you can check out when is the best time to book flights.